Mickey is bursting with excitement... straight through the center of this awesome figurine's heart! High-gloss stone resin, graphic patterns, and bold clashes of color heighten the magic of his message and convey a wonderfully contagious spirit of optimism. If you ever need a pick-me-up, pick this! 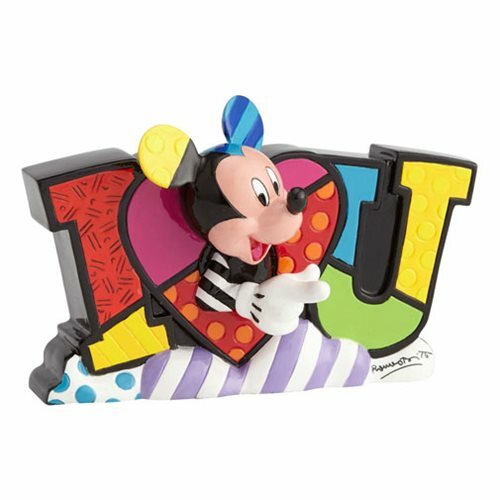 The Disney Mickey Mouse Love Statue by Romero Britto measures approximately 5-inches wide x 3 1/4-inches tall x 2 1/4-inches long. Ages 14 and up.